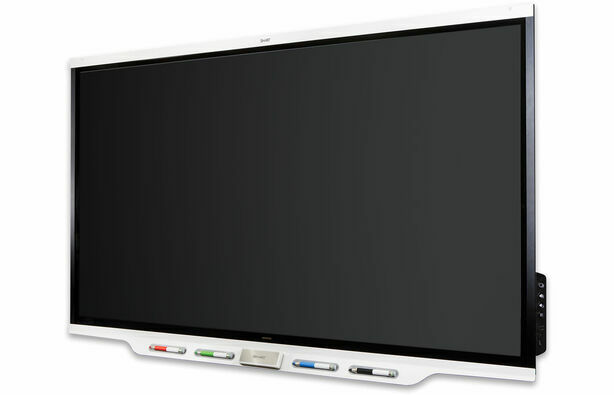 SMART Board 7000 series is 25 years in the making, and all new. The 7000 series is the digital heart of your interactive classroom experience, connecting SMART Boards and software, devices and vibrant imaginations. It helps students discover talents and passions, and teachers to promote student achievement in exciting new ways. The SMART Board 7000 series frees student imaginations to run wild. Students and teachers can add notes, and write on, virtually everything you can show on the board as easy as paper. hare what’s on the display to any device whether Android, Apple, and Windows based. 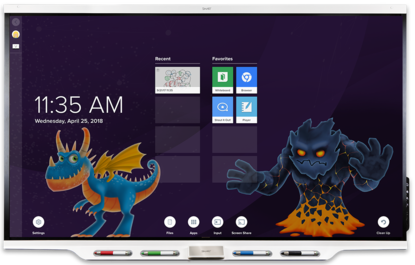 ‍ Connecting SMART Boards, learning software, lesson content and student devices into one unified experience. PLAYER: Notebook Player makes lesson planning easy. Get your lesson ready on your school or home computer. Send it to any SMART Board. Pick it up and start teaching without plugging in your laptop. SCREEN SHARE: SMART Boards are compatible with all sorts of Android, Apple and Microsoft devices. You can share any wireless device to the SMART Board without any apps or extra computers.